Father Ranhilio Callagan Aquino, the Dean of San Beda Graduate School of Law has been brought to the brink, the man cannot withstand the spread of fallacies on the quo warranto that fake news initiators and propagandists call ‘unconstitutional’. The Dean of one of the best colleges of Law in the Philippines, stepped up on Facebook by posting the number of fallacies that he’s observed and heard of by negating each and every one and explaining why it’s wrong. The petition for quo warra[n]to is groundless and baseless and should be dismissed. First of all, the Supreme Court has every right to exercise its jurisdiction on the Chief Justice, it is not an insult to the Senate. Second, the Chief Justice is not the Judiciary, thus attacking her through a quo warranto is not in anyway an attack on the Judiciary of the Philippines. Third, it is up to the Supreme Court to decide whether or not the petition for quo warranto should be dismissed, it’s not up to the public to decide. And lastly, a quo warranto is but another way to remove a Chief Justice and not something unconstitutional, since it is a power of the Supreme Court that was bestowed by the Constitution itself. With that being said, stating that all efforts to oust the Chief Justice through quo warranto is unconstitutional is likewise stating that the Constitution is unconstitutional! 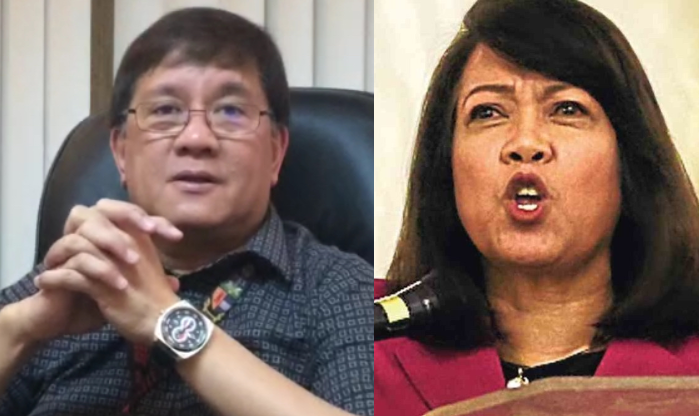 Father Aquino then revealed that one uncontestable truth, the decision for the ousting of Chief Justice Maria Lourdes Sereno is all up to the Supreme Court to decide.